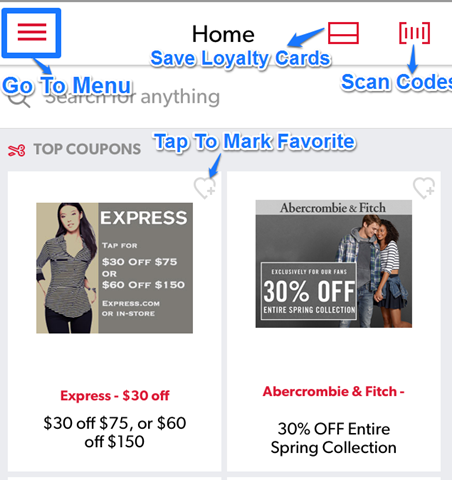 RedLaser is a free barcode scanner app for iPhone which shows you great shopping deals after scanning the products’ barcodes and QR codes. The app lets you get the best deals on shopping across various stores and products in United States, Germany, France, Spain, Italy, and United Kingdom. 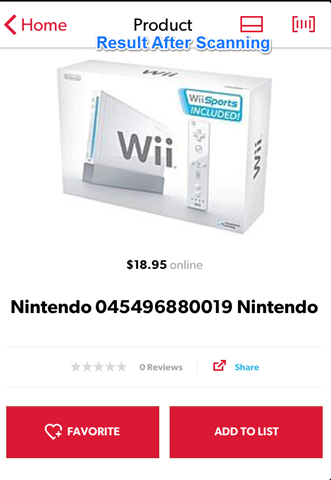 You can also search for deals by entering the product name. The app lets you link your Facebook account or create a new account with app to save the products to favorites, shopping list and to check your search history. Scan bar codes and QR codes very easily. Get best shopping deals nearby you after scanning bar codes. 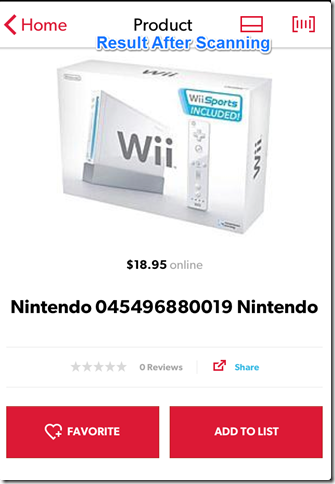 Search for deals by entering product name. 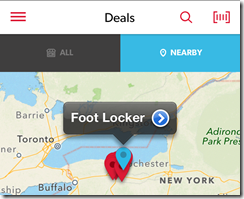 Get deals on particular stores by opening the app once you enter the store. Check products related to the ones you searched or scanned. Mark products as Favorite or save them to your shopping lists. Create your own QR Codes and share them. You can download the RedLaser barcode scanner app by either searching on the iTunes Store or by clicking on the link given at the end of this review. 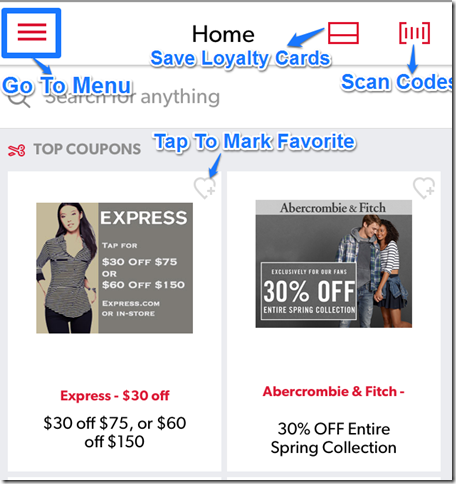 When the app is launched for the first time, it shows you coupons for shopping from various product categories. The app also let you add your loyalty cards to the app (use the icon next to “Home” for that). If you have added any loyalty card then app will notify whenever there is a shopping deal in that store. Let’s see how to use this app to scan barcodes and QR codes; and save some money. To scan any barcode or QR code, tap on the icon at top right side to start the scanner. You will see that your iPhone’s camera has started with a red laser moving inside a rectangular box at the center of the screen. You need to focus your iPhone’s camera on the barcode or QR code in such a way that it comes inside the rectangular box (Refer to first screenshot). The app will start scanning the code and you will hear a beep sound once the scanning is completed. 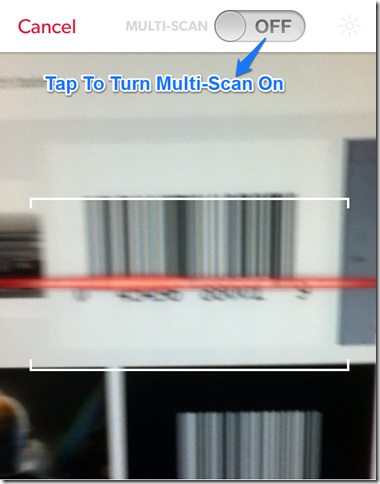 If you want to scan more than one code in one go, then tap on the Multi Scan option given at the top of the screen. (As shown in first screenshot of this article). After the scanning process, the app will show you the results depending on the barcode or QR code that you scanned. 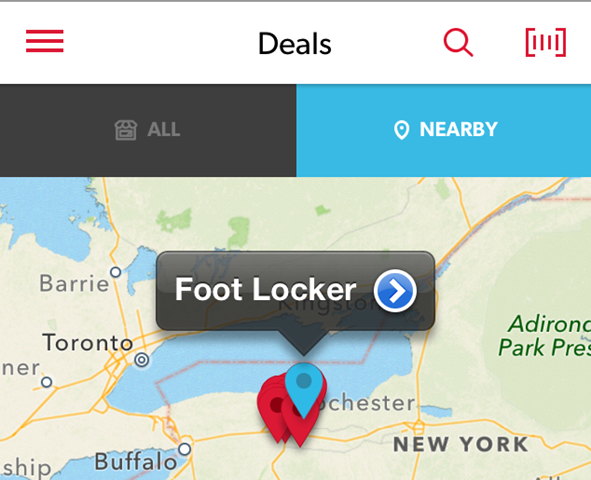 Deals: Tap on the icon to check best deals near you. You can also check deals at other places with the help of map which is shown to you when you tap on the icon. Favorites: Check all your favorite items from here. Cards: Check your loyalty cards and also add new ones. Lists: Make your shopping lists from here so that you don’t forget to purchase any item when you go out for shopping. Use from 9 existing lists, like: My Stuff, Beauty, Books, Fashion, Gadgets, etc. or create your own shopping list. History: Check the history of products searched or scanned by you from here but you need to sign-up before using this feature. You can sign-up via Facebook or using the registration form. QR Codes: Create your own QR Codes from here. You can make QR Codes for sharing URL, your information, and any contact. Tap on the option which you want to share and fill the details regarding it. Tap on Generate to get your QR Code. Store Alerts: The app will alert you whenever you are around a store which is offering deals. You can turn the alerts on/off anytime you want after entering into the option itself. You can also checkout these 5 QR Code Scanner Apps for iPhone reviewed by us. The RedLaser barcode scanner app is really very amazing and helpful app. The app is really fast and accurate in displaying the results. It scanned all the QR Codes and Barcodes used by me very smoothly. I also liked the features like Store Alerts, List and Cards very much. The QR Codes generated by the app were also accurate. If you are shopaholic or you want save money on shopping then its really a must have app for you. Get the RedLaser barcode scanner app from here.